Sunday Quote!- Reframe the Origins Debate? | J.W. Wartick -"Always Have a Reason"
Sunday Quote!- Reframe the Origins Debate? Howard J. 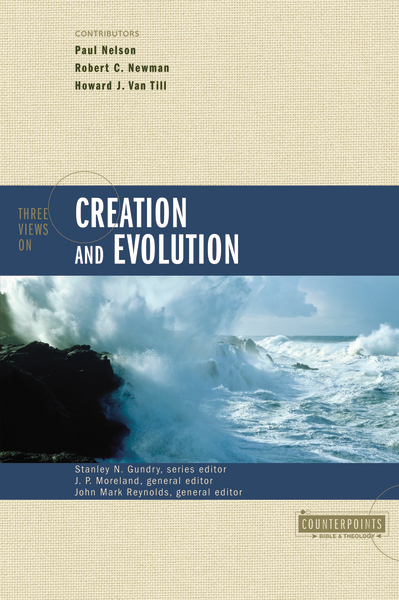 Van Till is a theistic evolutionist (he does not like the term–or at least did not at the publication of this book), and he views that position as a “fully gifted creation”–one in which God, on creating, imbued creation with the capacities to develop naturally over the course of time. This is the “economy of creation” in which–according to Van Till–God created without the need for continual intervention. Now, so far as this reframing is concerned, it seems to me that Van Till, in attempting to avoid the either/or dichotomy between creation and evolution, went a bit to the other extreme. Putting a word like “robust” in there suggests that anyone who would disagree is clearly questioning the capacity of the Creator in creating. However, I do think there is something to the notion that we do need to rethink exactly where the lines form in the origins debate. I have written on the various options for Christian origins positions and I think that we need to be aware of the fact there is more to it than even “three views” could begin to outline. Regarding the question itself: what do you think? Do we need to outline the origins debate with different terms so that we can avoid a false dichotomy? Moreover, do you think that creation is indeed set up in such a way? « Question of the Week: What’s your favorite “worldview” movie? I realize how much creationists want God’s intervention to be true, and I know how much work has been put into making this claim seem to be reasonable (always in the form of some deductive cerebral model), but unless and until there is compelling evidence from the biosphere to indicate a discernible intervention (that could have been already shown in many, many overlapping and mutually supportive ways) the absence of such evidence will continue to point to its it’s ever-growing unlikelihood. Mitigating this lack of evidence (by categorizing different kinds of intervention on some kind of receding timescale) is really a process of making it as nebulous and indemonstrable an intervention as possible… a model that looks exactly like evolution as we understand it to be – an unguided natural process of biological change over time subject to physical and chemical effects – yet phrased in such a way as to allow this God to remain so deeply hidden that there is no way to justify the belief using the biosphere. The legitimate criticism will remain: that any creationist belief is imposed on the biosphere to serve some other purpose than to accurately describe it as it really is, a means to avoid having to produce evidence adduced from it to inform beliefs about it. The model of evolution has no guiding hand. The model is a picture. The picture of the thing is not the thing. “Ceci n’est pas une pipe.“ Is nature, ultimately, guided or unguided? Evolution cannot tell us this with the confidence that some (e.g. Dawkins) wish it did. They are committing grave philosophical errors. Until it is recognized that [good] science and [good] philosophy need each other, that neither is ‘better’ than the other, we will go round and round this merry-go-round, getting dizzier and dizzier as time goes on. Evolution doesn’t answer the question of whether it is guided or unguided, it answers the question why there are millions of species.. It is a very simple idea which explains why the Earth is filled with many different kinds of creatures and we actually call it descent with variation and natural selection. The unguided part is built right into the “variation” as a feature of the explanation, not as a question to be answered. Natural selection says these variations become more prevalent if they promote replication, which is actually a tautology. The unguided part is built right into the “variation” as a feature of the explanation, not as a question to be answered. Volumes 1–7 of The Fundamentals are freely available. Suppose we perform an experiment to cause-map a headache and its cure, and we will proceed in a parallel track to your claim that to diversify species God uses evolution but makes interventions. The initial claim is that, “I had a headache but I took a pain killer and prayed to God and the headache went away.” A researcher would isolate the factors and record the results. In the end, the cure rate for taking a painkiller alone would roughly match the cure rate for taking a painkiller and praying to God, while the cure rate for praying to God alone would be much lower. It is not a matter of having an “anti-supernaturalist” bias to apply Occam’s Razor to the cause-map and conclude that God does not intervene when the painkiller provides sufficient explanation for the end of the headache. So you’re basically saying that prayer doesn’t work like magic. This oughtn’t surprise anyone: it is prayers in the name of Jesus which are answered. I argue that this important qualification can be roughly viewed as: “prayers inline with what Jesus wants are answered”. That is distinctly teleological, and we know that science, as practiced today, is banned from reasoning teleologically, except in the most trivial of ways. I can certainly ask another human to do multiple/many things, and learn more about that human by which requests are answered and which aren’t. Why can I not do this of God?